With soaring ceilings, elegant Hamptons-esque furniture, and gorgeous floral wallpaper, hot new Las Vegas restaurant Andiron Steak & Sea is a design lover’s dream. I recently had an incredible dinner there—think burrata and grilled fig, steak tartare, whole branzino, and chocolate-banana cream ice box cake. But despite all of that goodness, it’s the cup that I drank from that I can’t stop raving about. When celebrated restaurateur and owner Elizabeth Blau stopped by my table, as she appeared to do with every table that night, she recommended the Pineapple Bump cocktail. She told me she’d spotted the copper pineapple cups the drink is served in at Jean-George’s Matador Room in Miami, and had to get them for her new restaurant. Because I like to do as I’m told, I ordered the thing… and what a beauty it was! With two pieces, the pineapple-shaped object is really a vessel. When served, the top becomes a pedestal, and the cup effectively becomes a chalice, making you feel like royalty. As much as I swoon over presentation, I’m also a major cocktail enthusiast, so I had to be convinced this adorable and chic beverage wasn’t just a gimmick. To top it off, I rarely order vodka (one of its key ingredients) and fear the sweetness of pineapple juice. Nonetheless, I found the Pineapple Bump to be remarkably refreshing. It’s the kind of thing you’d have visions of on a hot summer day. The next time my air conditioning goes out, it will be my first thought. To that end, I’ve secured for the recipe for us all to enjoy this spring and summer—see below. But back to the copper pineapple cup… after I returned from Vegas, I went on a hunt for it, imagining I could simply order one and then live like royalty everyday. 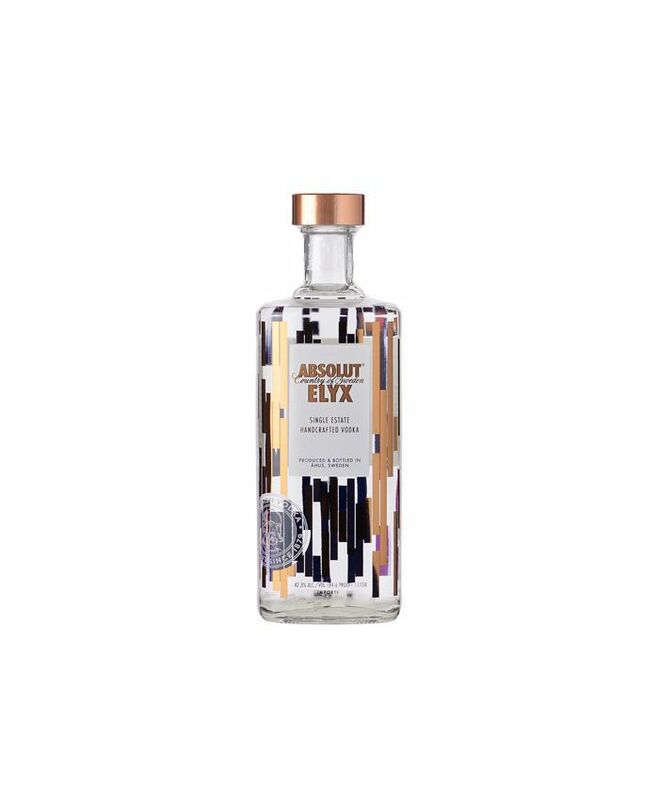 As it turns out, Absolut Elyx, the brand’s single-estate handcrafted vodka, is custom-making the cups, and there are only two restaurants in the country that have them: Andiron Steak & Sea and Matador Room. And the cups have become extremely sought after. But in a delightful turn of events, on Tuesday, Absolut Elyx announced it will be opening The Elyx House, an expansive loft space and "brand home" in downtown Manhattan with "a reclaimed wood dining table, Gustavian chandeliers, a copper disco ball, flamingo punchbowls, and an abundance of the signature Elyx copper pineapple cocktail cups." So do you know what that means? Cocktail crawl! First stop: Vegas! Have you seen these pineapple cups before? Would you like to try a cocktail from one? Tell us below!